Why is that? The factory downpipe is all one piece. 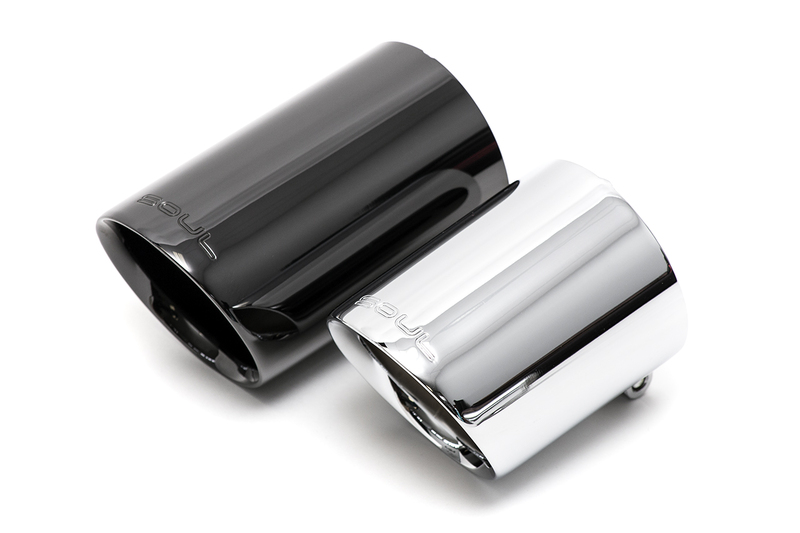 We now offer a short version of our double wall chrome tips for those who want a less aggressive, OEM like appearance. They're 1" shorter and you have around a 1/2" of depth adjustment on both long and short tips.